★ 57-58 Clifton Street, Cardiff, CF24 1LS. ★ Open Mic and Cypher to end off the night. Local MC or Poet and feel like dropping a sixteen or some spoken word? Here’s your chance. 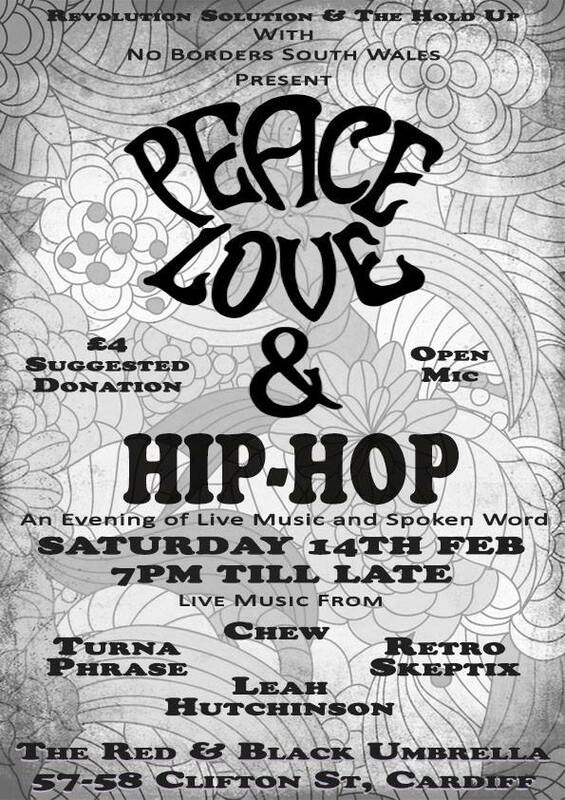 ★ We’re looking to build something sustainable so there is a suggested donation of £4 on the door. All funds raised go back into the space and to support No Borders.